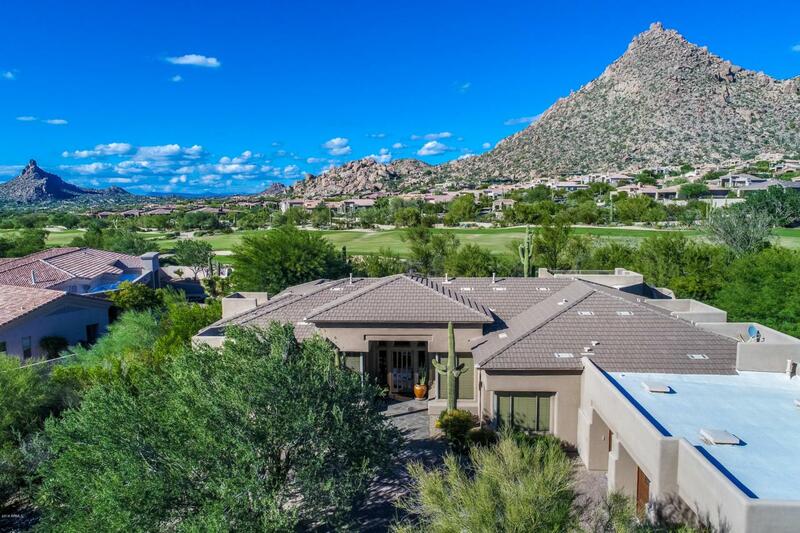 Beautifully appointed luxury home in the guard gated enclave of Glenn Moor at Troon is move-in ready with spectacular backdrop of golf & Troon Mountain views. Single level open floor plan offers formal living & dining & beautifully appointed gourmet kitchen open to spacious family room with stone fireplace wall, all sharing the dramatic views. Split layout features intimate master retreat & spa bath, office/den, 2 bedrooms with shared bath & additional ensuite guest space plus powder room & wet bar. 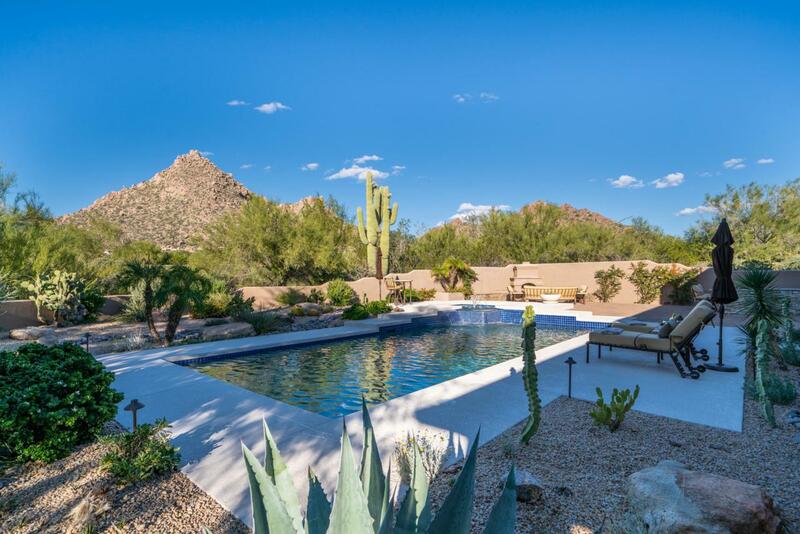 Upgraded interior finishes & a soft desert palette make this home elegant yet comfortable. Enjoy expansive back yard living with refreshing pool & spa, BBQ bar & kiva fireplace, or take in 360 views from the rooftop deck. 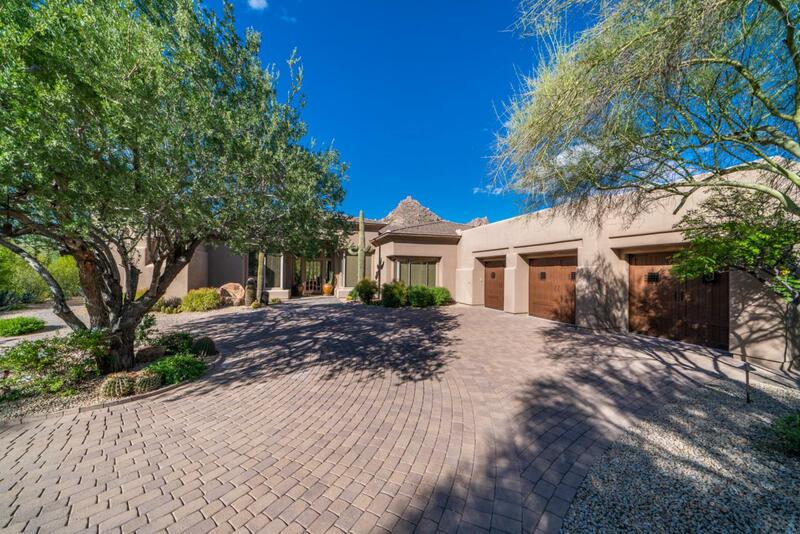 Only minutes from the newly renovated Troon Country Club. Welcome Home!